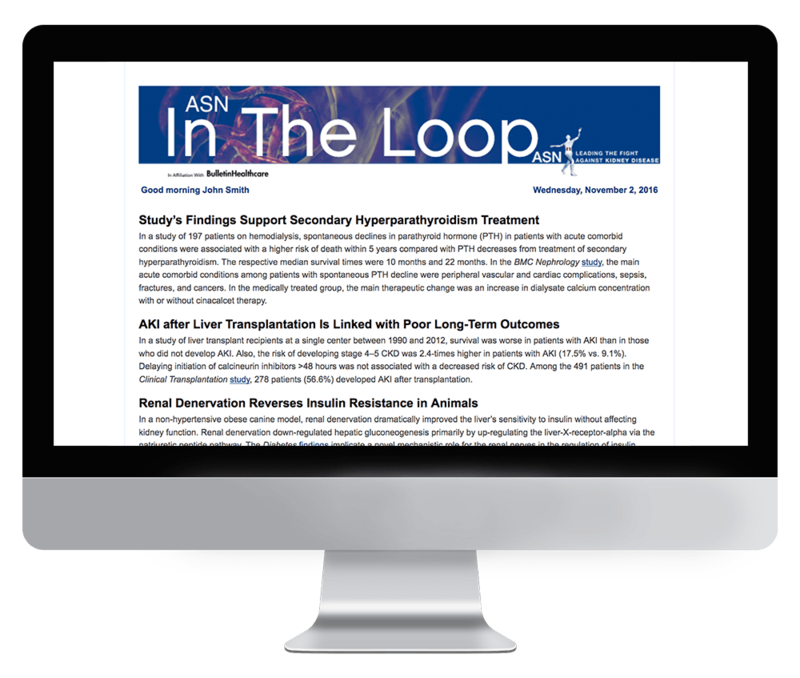 In The Loop is an exclusive member benefit for members of the American Society of Nephrology, and is published Tuesday through Saturday by 8 a.m. EST. The American Society of Nephrology leads the fight against kidney disease by educating health professionals, sharing new knowledge, advancing research, and advocating for the highest quality patient care. Subscription to In The Loop is exclusively limited to ASN members. If you are a member of ASN and would like to receive this briefing, please reach out to the association directly.